All aboard for the unique and popular Polar Express Photo shoot! 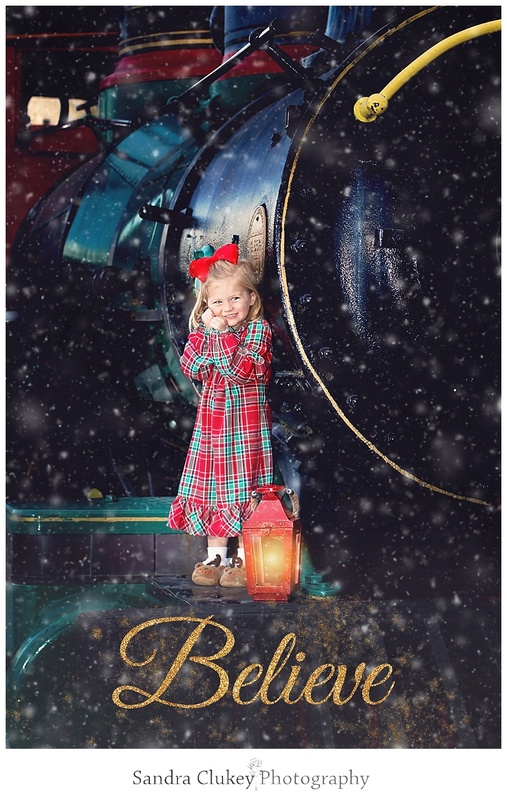 The Polar Express photo shoot is near and dear to my heart because The Polar Express is my favorite movie to see every year in 3-D at the Chattanooga IMAX Tennessee Aquarium Theater. Every photo is different because every child is different and the looks and expressions on their faces is what drives me in my editing time when these photos come to life and my creative juices start flowing. The end results come right from my heart and are truly one of a kind. You may ask: Do we need snow and cold weather? Do we need it to be dark? Won’t my children freeze? No! All of these photos were taken in the daylight with no snow. If we needed to wait for a good snowfall here in Chattanooga TN, we would have to wait way too long! What ages are right for this type of photo shoot? Experience has proven that the best ages start at around three and up. Most two year olds do not like their photo taken and because we are on location and not in a closed studio it is even harder on the camera shy children. So I highly recommend waiting until the child is closer to three and up. With this photo shoot I like to say that the raw image is my canvas and that Photoshop is my paintbrush. There is where the magic takes place! I diligently work for hours on each photo to give you my artistic version of one of my favorite Christmas movies. If you have never seen this movie in 3D then you haven't seen the movie and I highly recommend you go and take your children with you for this holiday Christmas favorite! Please enjoy a sampling of some of my favorite photos from my unique Polar Express Photo shoot. 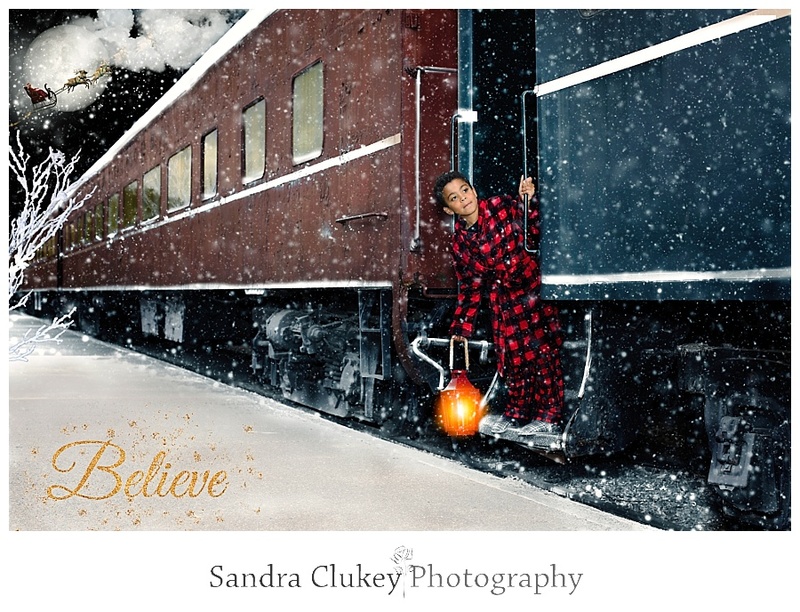 Thank you for viewing my very unique and one of a kind Polar Express photo shoot. These photos will look absolutely stunning on the walls of your home. People will be in awe when they see this beautiful portrait in a large sized print adorning the wall in your home or office. It is a truly exquisite piece of art. To book your child or children for his unique experience click here to contact Sandra Clukey Photography, LLC. We look forward to hearing from you!